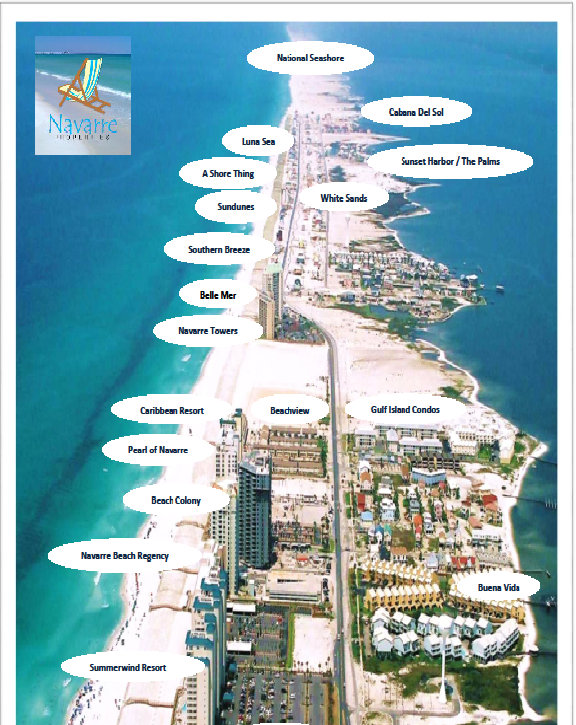 Navarre Properties fully furnished beach condos overlook the dazzling waters of the Gulf of Mexico. Our one to four-bedroom Navarre Beach condos offers a variety of amenities including full-sized kitchens, washers/dryer and so much more. Stay active with complimentary fitness centers, or dive in at one of our beachside pools. Bubbling hot tubs overlooking our white sand beaches add relaxation and luxury to your Florida vacation in our Navarre Beach condo rentals. 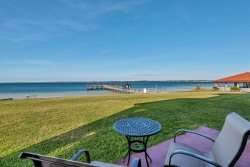 Browse our large selection of condos for rent in Navarre Beach to find your perfect beach vacation rental. Learn the exact location of your complex with this handy map of Navarre Beach! Check out our Navarre Beach Condos where you'll enjoy beautiful Gulf views, tennis courts, swimming pool, fully furnished beachview condo units with kitchen, washer dryer, wireless internet, and more! Find the perfect vacation rental to help make your trip to Navarre Beach memorable! Sundunes Condominiums is a gulf front community in Navarre, FL offering 2 and 3 bedroom vacation rentals. Features include private balconies, fully furnished condos, swimming pool, washer and dryer, wireless internet, fully equipped kitchen, and more! Browse our available vacation rentals and book your vacation today! Navarre Towers is a Gulf Front community in Navarre Beach, FL with 2 & 3 bedroom vacation rentals. Features include fully furnished vacation rentals, private balconies, swimming pool and tennis courts, fully equipped kitchen, washer and dryer, wireless internet, and much more! Browse our available rentals and book your trip today!